A family of Falun Gong practitioners live in a small town in Sweden, near the border with Norway, called Arvika. They are well known for their contributions to the community. Kristina Kleinert is a dancing instructor and choreographer. Her husband Werner Kleinert is a karate instructor who also manages a construction company. 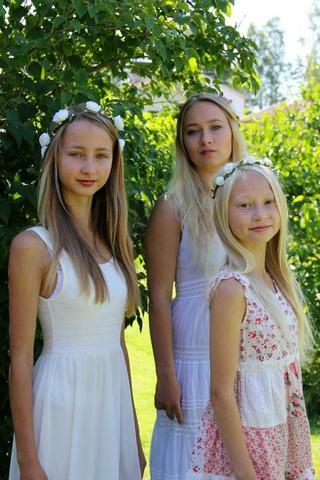 They have three beautiful daughters. Kristina, Werner and their eldest daughter started practising Falun Gong in 1998. The following year the persecution started in China, and their lives underwent a drastic change. Kristina and Werner had not heard of Falun Gong, but they had tried many other forms of meditation. They had both felt for a long time that life must have a more profound meaning and that a spiritual practice would likely unlock the answers. Werner actually went to India in his youth to search for a cultivation practice. He learned Yoga and Hinduism and got to know some teachings from Buddhism and Daoism. He later practised martial arts and eventually opened a martial arts school. Two weeks later Rychard travelled to Sweden. He had just spent one week in Gothenburg participating in a free Falun Gong teaching session. He visited Werner and brought an audio recording of a nine-day lecture seminar given in China by the founder of Falun Gong, Master Li Hongzhi. They decided to offer a free nine-day session in Arvika and play the audio recording of Master Li's lectures. About 40 people attended the first lesson, and more than half of them completed the entire nine-day session. Werner not only saw scenes in another dimension, but also experienced some significant changes physically and mentally. He knew Falun Gong was what he had been searching for so many years. “The more I listened to Master Li's teachings, the more I knew this is what I had been seeking. Since then we [his family] have been practising Falun Gong and mindfully following the principles,” he said. Werner had been addicted to smoking and liked to drink wine. He had tried many times to quit both habits, but had failed each time. After practising Falun Gong something changed, and cigarettes tasted different to him. “I felt nauseated when I put a cigarette into my mouth after practising Falun Gong. It was a terrible feeling. I completely stopped smoking within a few days,” Werner said. He similarly got rid of his attachment to drinking. His 20 years of addiction were over. “I got great help from Master Li,” he said. After listening to the nine-day lectures they felt full of joy and decided to offer many free nine-day teaching sessions to spread the practice to more people. Many people in the area started practising Falun Gong as a result. Werner and his family were attending a nine-day session in Varmland in July 1999 when the Chinese Communist Party (CCP) launched the persecution of Falun Gong. The news stunned them. The CCP's propaganda about Falun Gong was broadcast in European and other foreign media. 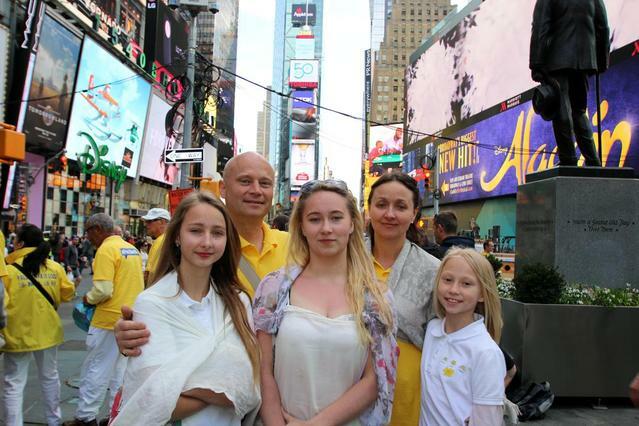 The family felt pressure and a strong need to explain the facts about Falun Gong to European people. Kristina gradually became a coordinator to help spread Falun Gong in Europe. From 1999 to 2001, their family toured many cities to explain the facts. Kristina and another practitioner, a musician named Charlotta Johansson, organised a performance titled “Lotus”. They toured Sweden and performed the show in many schools and theatres. 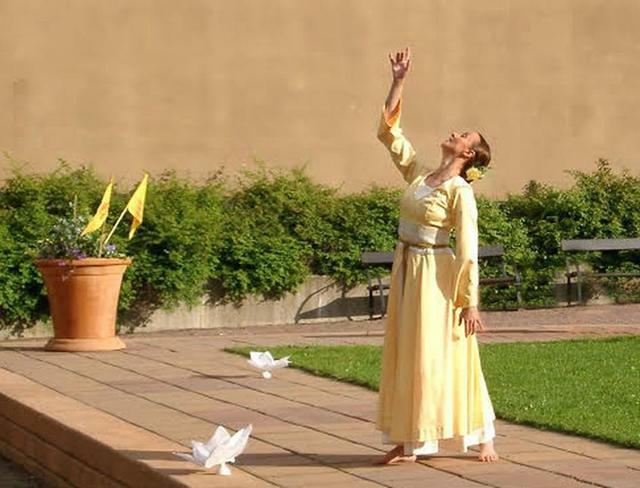 “We shared the message about Falun Gong and the persecution via dancing, music and poetry,” Kristina recalled. While Kristina planned the many events they held across Europe, her husband helped her with the more concrete tasks of transporting and setting up the equipment they used. They had a common wish to stop the persecution of Falun Gong. They knew the persecution was personally initiated by Jiang Zemin, who at that time was head of the Chinese Communist Party (CCP). They went to protest when Jiang visited Lithuania, and called for him to cease the persecution. About 10 years later, their whole family toured Sweden again to raise awareness. This tour also included the Art of Zhen, Shan, Ren (Truth, Compassion, Tolerance) exhibition. Their car was piled full of informational materials. In each of the more than 10 cities they visited they held concerts on the street with dancing, singing, speeches and demonstrations of the Falun Gong exercises. The activities drew the attention of many passersby. Their eldest daughter Tara, was 11 years old at the time and she danced as part of the tour. Their second daughter Mira, who was 8 years old, looked after the informational materials. Their youngest daughter Indra was just four years old. They met many people who expressed appreciation and support for their efforts. Werner and Kristina brought their daughters to attend the New York Cultivation Experience Sharing Conference on May 14, 2015. More than 8000 Falun Gong practitioners from over 50 countries participated in a large rally near the United Nations and a parade across 42nd Street from the east side to west side of Manhattan, on May 15. The parade celebrated the 23rd anniversary of Falun Gong's introduction to the public and also called for an end to the CCP's persecution. Their daughters were excited to attend the conference in New York.